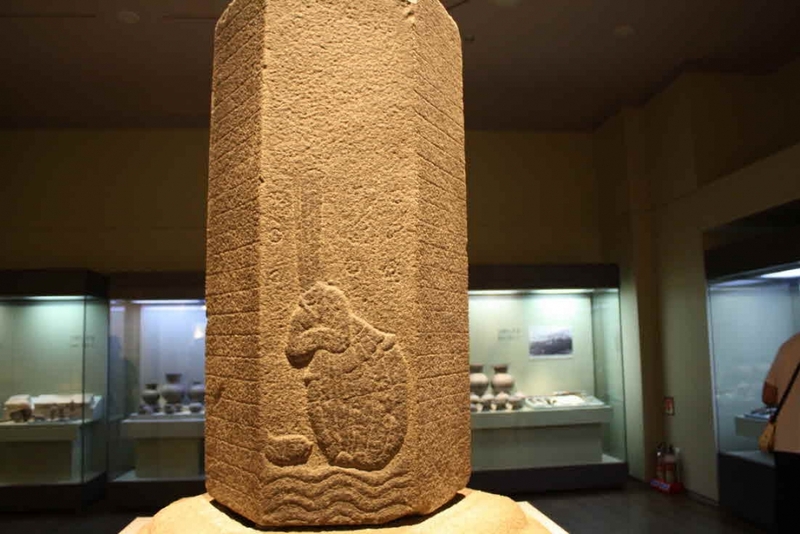 ※ Venue: The tour starts from the main gate of Gyeongju National Museum. 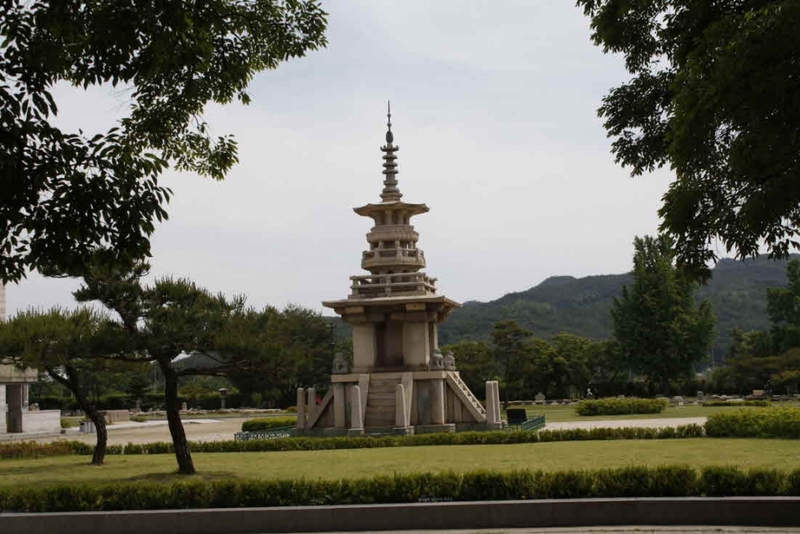 Take an intercity bus from Dong Seoul Bus Terminal (Gangbyeon station, Subway Line 2) to Gyeongju. 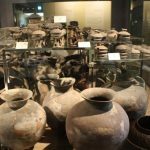 At the Gyeongju Bus Terminal or Gyeongju Train Station, take Bus 11, 600, 601, 603, 604, 605, 607, 608, or 609 and get off at the Museum. 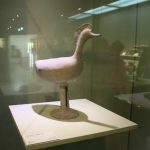 In the Main Hall you can see earthenware, with various artworks and craftworks in the Arts and Crafts room. 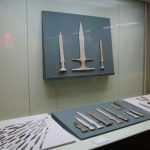 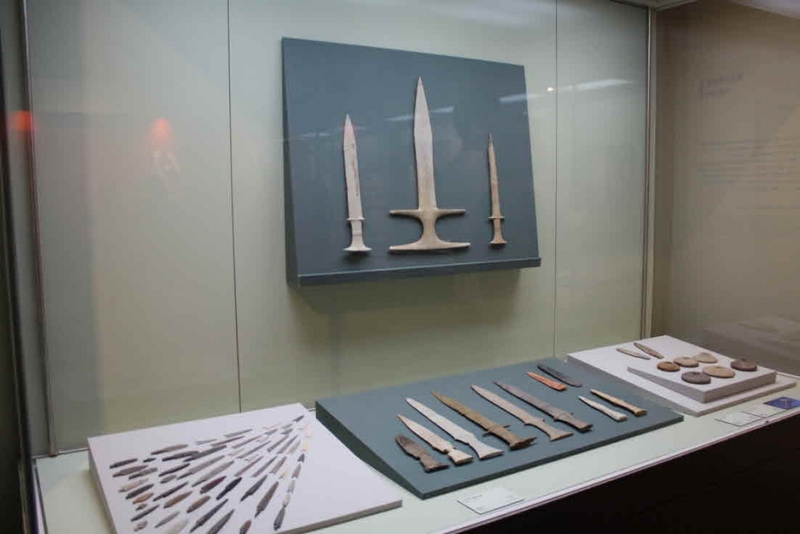 Gukeun Memorial Hall exhibits 666 artifacts, which were the personal collection of Dr. Lee Yang-Seon, donated to the museum for preservation. 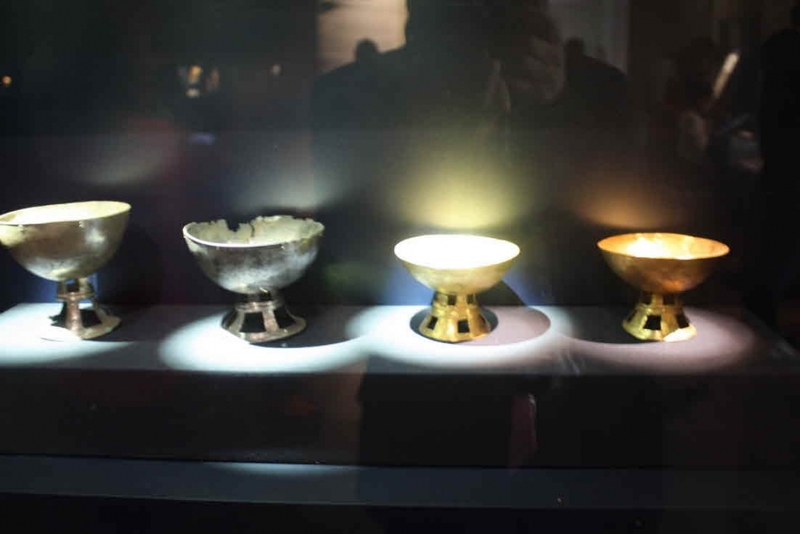 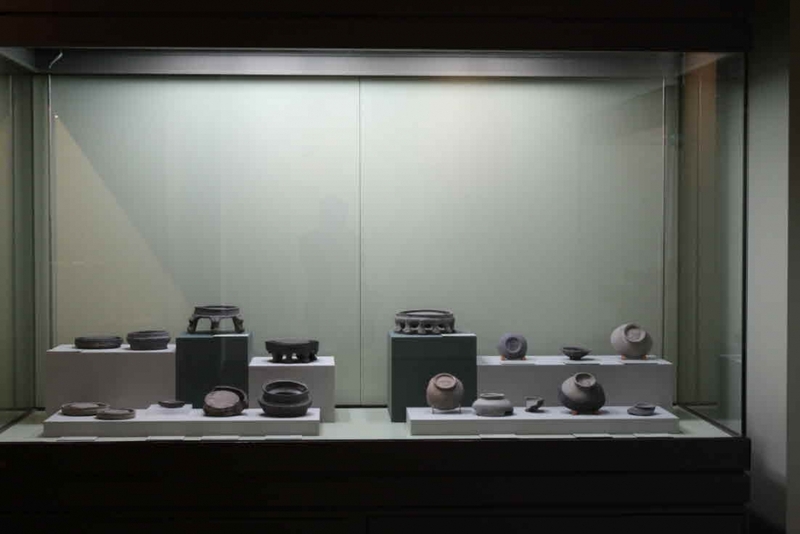 Artifacts from the great tombs of the city of Gyeongju are displayed in the Gobun Gallery in Annex I. 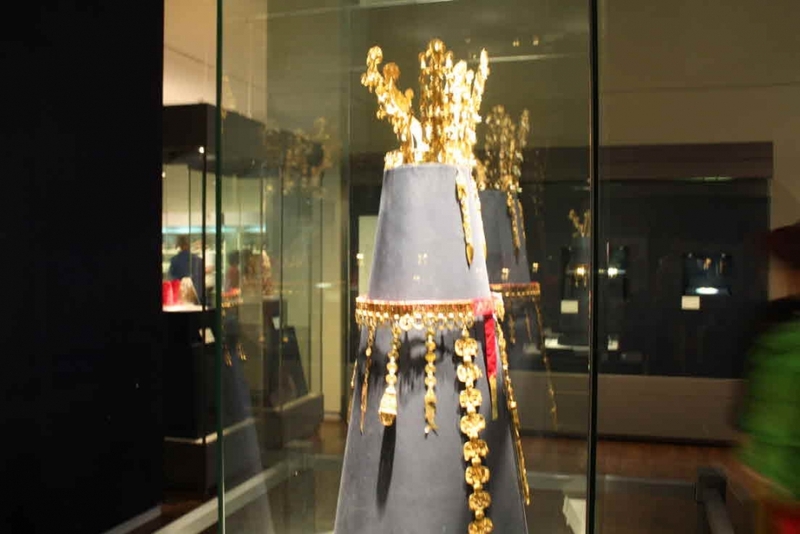 There are many glittering accessories, such as golden crowns and crown ornaments, belts, earrings, etc. 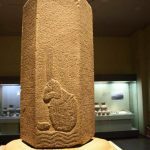 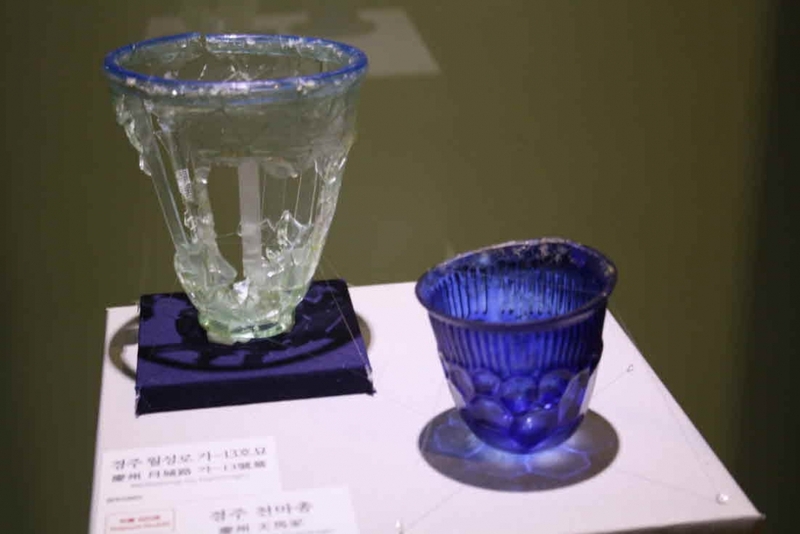 You will be introduced to the superb artistry of the Silla Period through these artifacts. 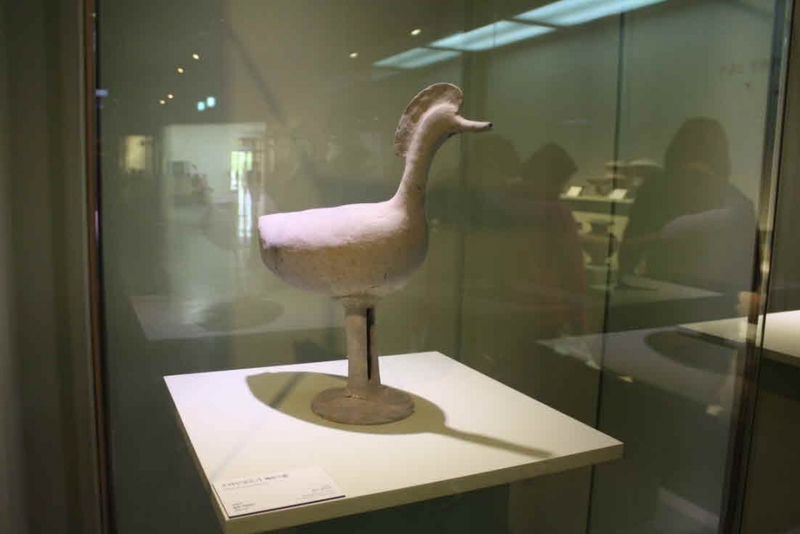 Approximately 30,000 artifacts have been excavated from Anapji Pond, the most significant of which are exhibited in the Anapji Gallery in Annex 2. 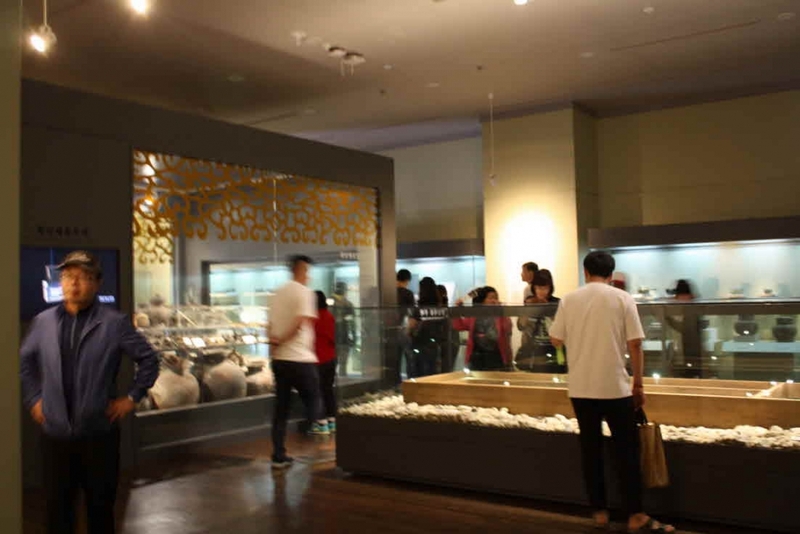 Other galleries in Annex 2 exhibit household goods. 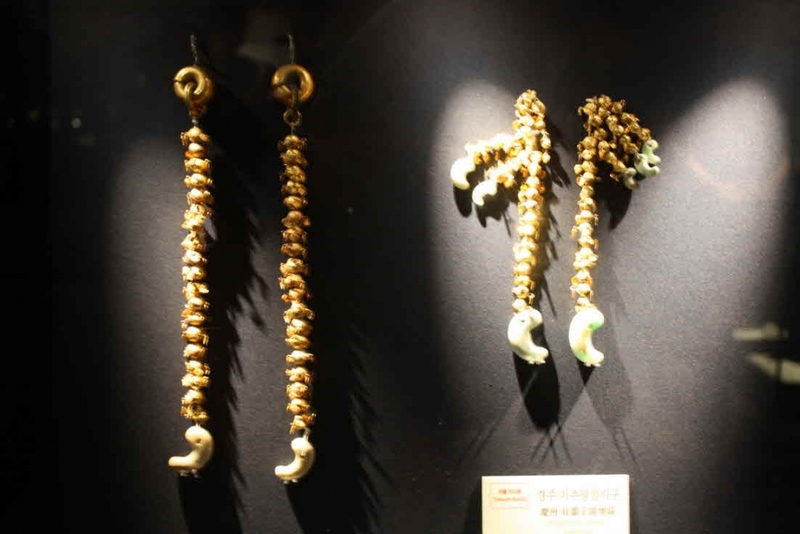 These various types of items show many aspects of life in the Royal Court during the Silla Period. 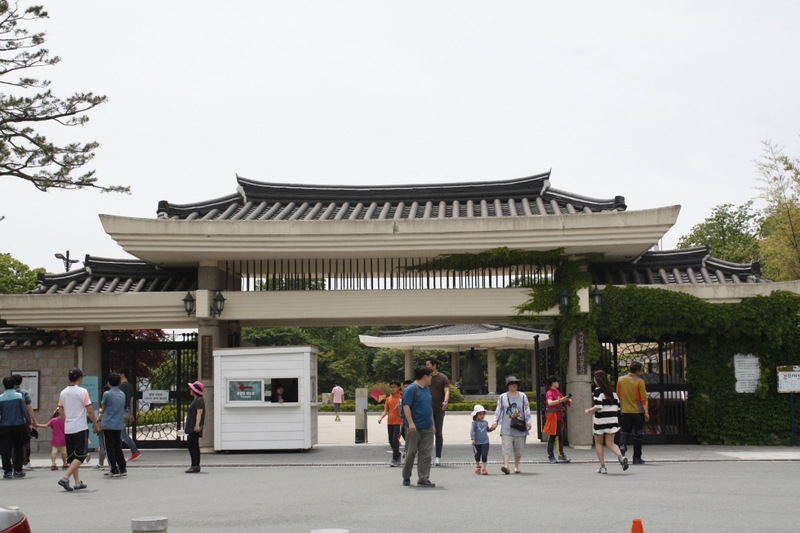 After the galleries, you can move on to the Outdoor Exhibit Area, in the Museum Grounds. 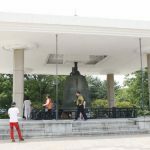 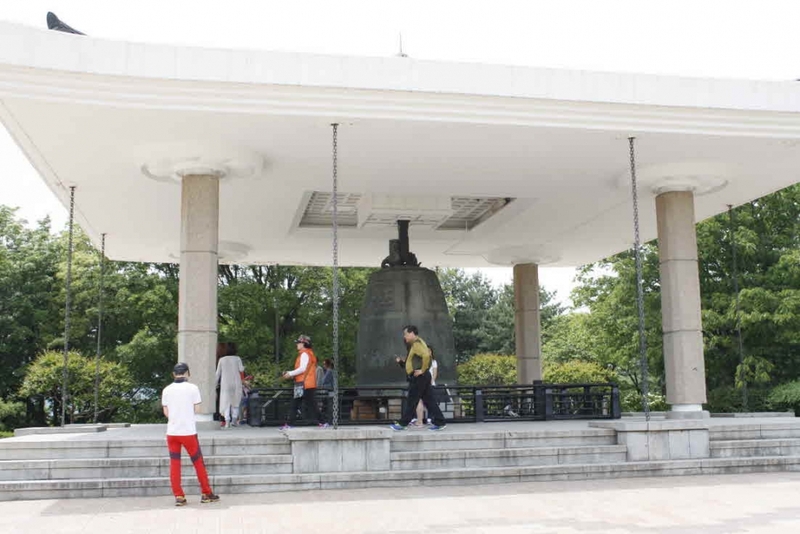 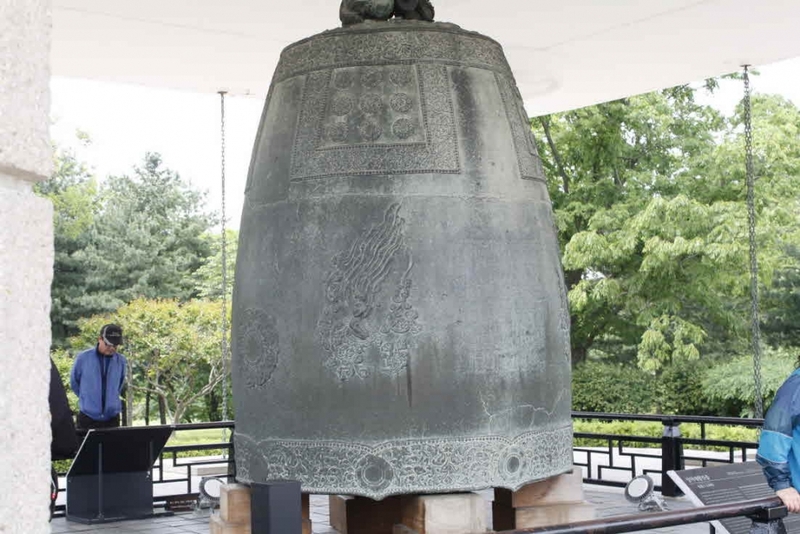 King Seongdeok’s Bell, located here, is the most renowned of all Buddhist temple bells. 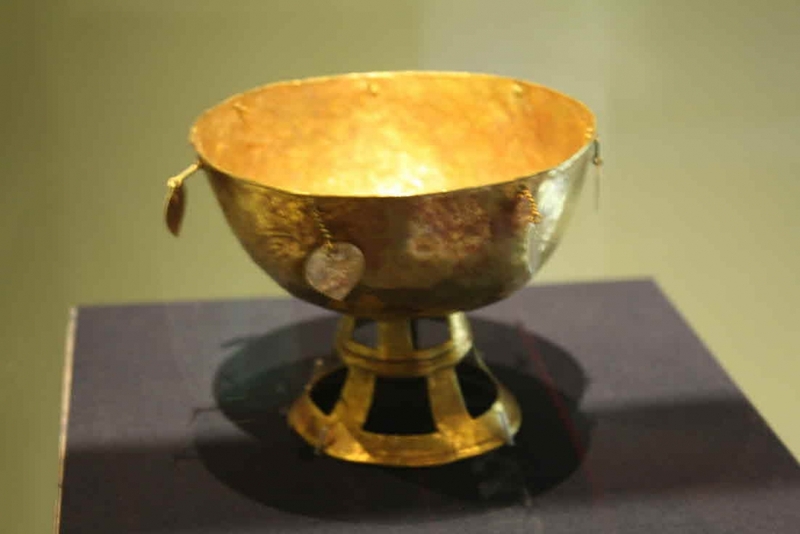 You cannot help but feel solemn as you gaze upon the relic. 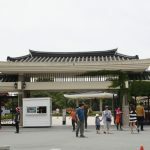 There is also a variety of artifacts from royal palaces and temples exhibited throughout the grounds. 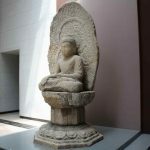 Buddhist sculptures make up the majority of the stone artifacts. 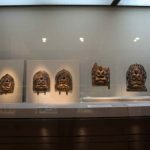 If you are a traveler interested in Buddhism or the magnificent culture of royal palaces, this is a place you do not want to miss. 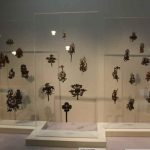 100,000 artifacts in possession, with 3,000 on display. 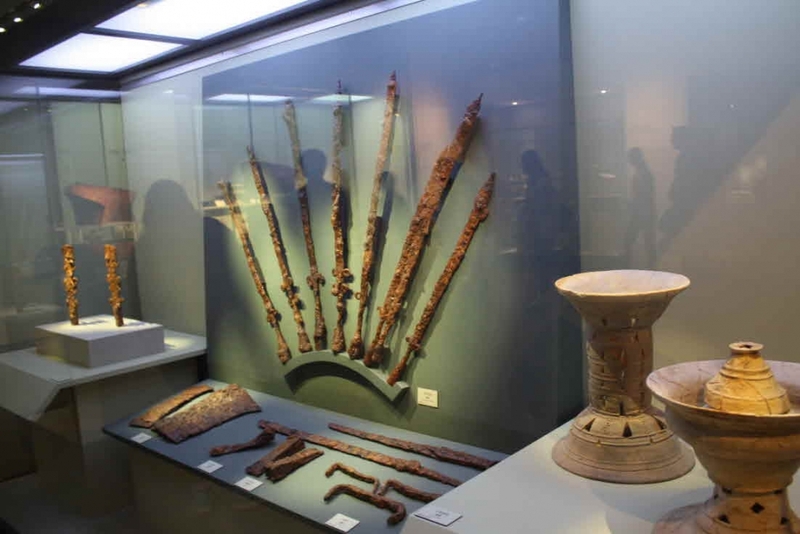 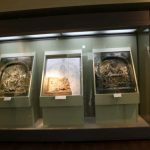 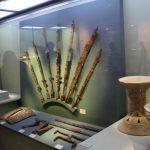 Preservation of historical remains, excavations, discovering and researching cultural items, executing preservation treatment, holding cultural displays and exhibitions, and more. 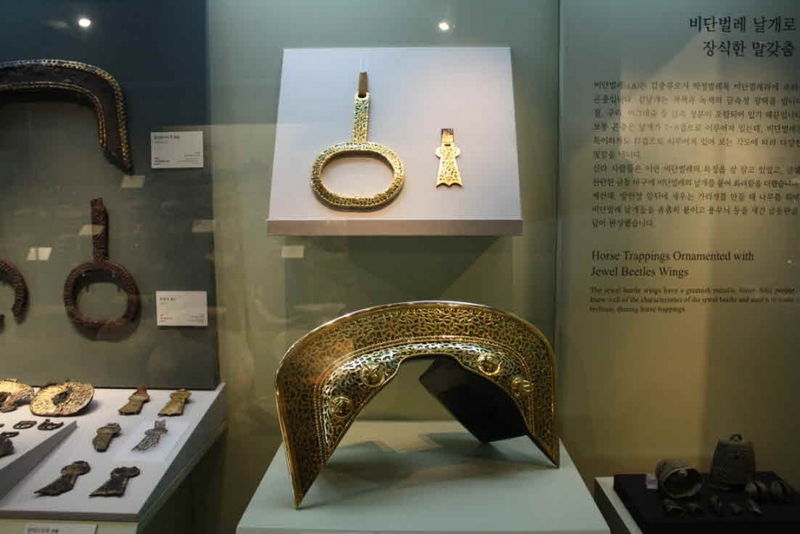 The Archeology Hall has four galleries: the Prehistoric-Proto Three Kingdoms Gallery, housing relics found throughout Gyeongju; the SillaroomⅠ&Ⅱ, displaying artifacts found in the Cheonmachong and Hwangnamdaechong tombs; and the Gukeun Memorial Gallery, with exhibit pieces donated by Dr. Lee Yang-Seon. 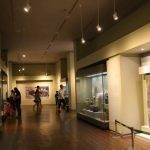 The Art Hall takes up two floors. 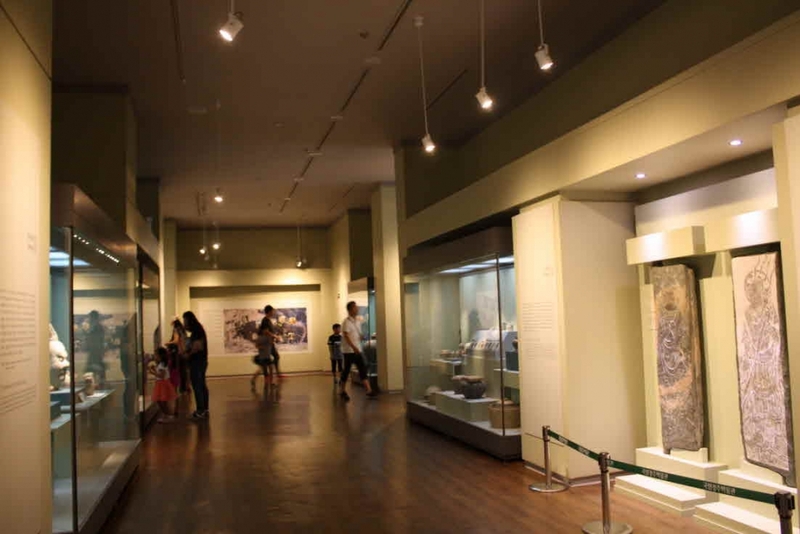 On the first floor is the Historic Room which is home to artifacts unearthed during the museum’s construction, the Imsinseogiseok memorial stone, and the replica of Silla Buddhist temples. 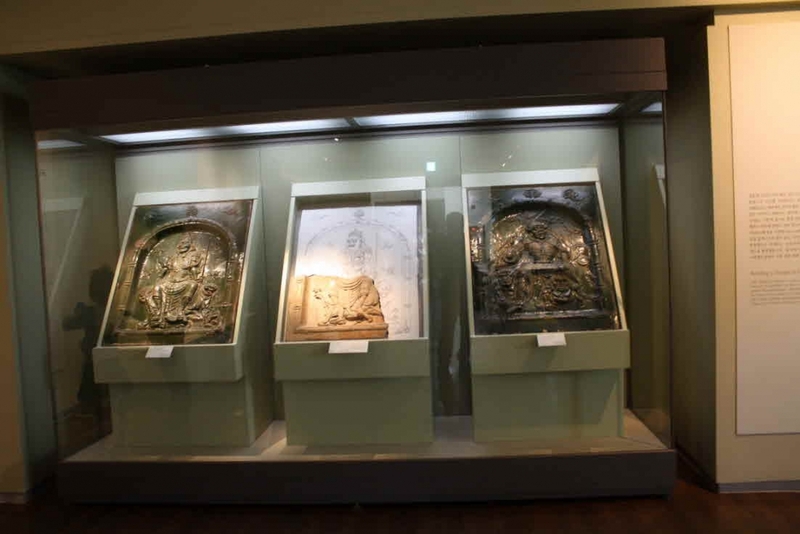 Sculpture Gallery Ⅰ & Ⅱ exhibit gilt-bronze Buddhist statues from the Silla and the Unified Silla eras, and stone Buddhist sculptures and tomb sculptures. 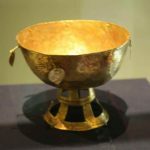 The second floor of the Art Hall includes the Metal Craft Gallery with the Reliquary from the East Pagoda of the Monastic Site of Gameunsa and other metal pieces from the time period between the Silla and Goryeo eras. 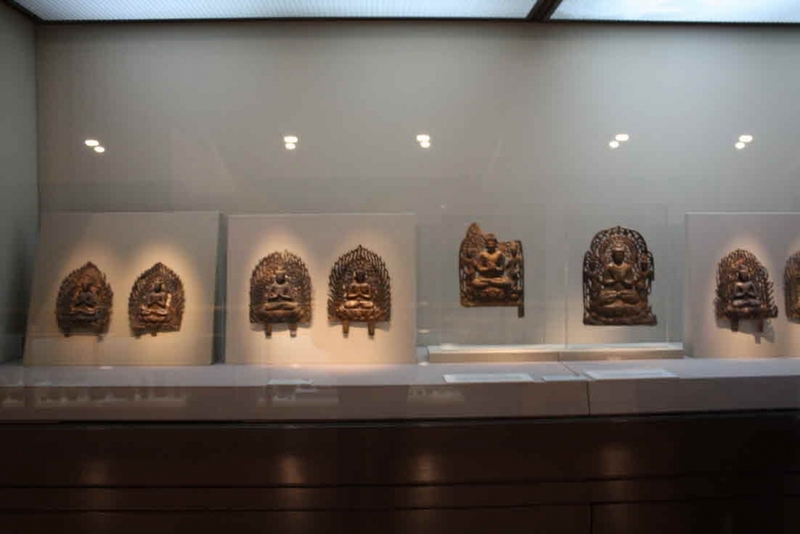 The Hwangnyongsa Gallery includes artifacts found at the site of the Hwangnyongsa Temple. 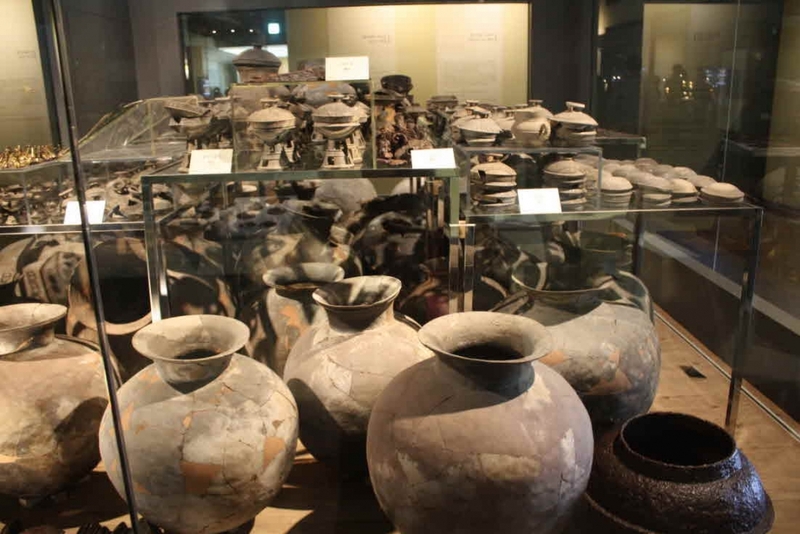 Anapji Hall displays roughly 700 of the 30,000 artifacts excavated from the Anapji pond of Gyeongju. 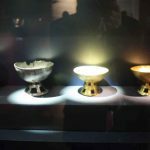 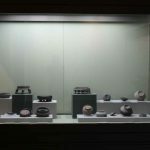 Unlike relics from the royal tombs, these were articles used in daily life. 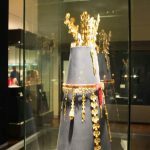 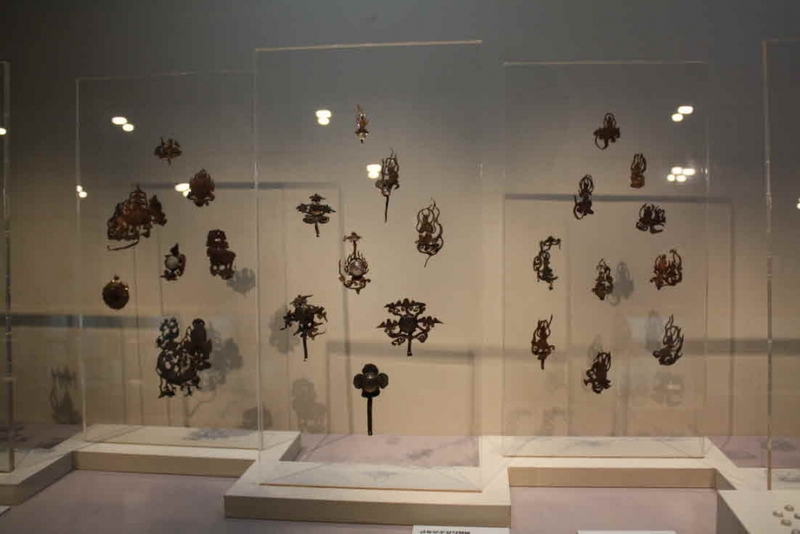 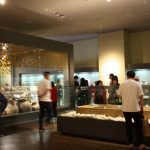 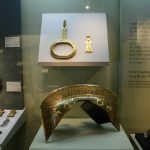 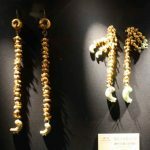 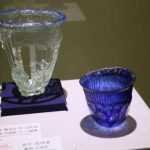 It is through comparison with these “common” items that we can understand the truly opulent, luxurious lifestyle of the royal family and the noble class during the Unified Silla period. 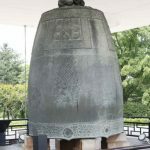 The Divine Bell of King Seongdeok the Great (National Treasure No. 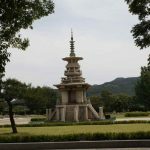 29), the Goseonsaji Stone Pagoda (National Treasure No. 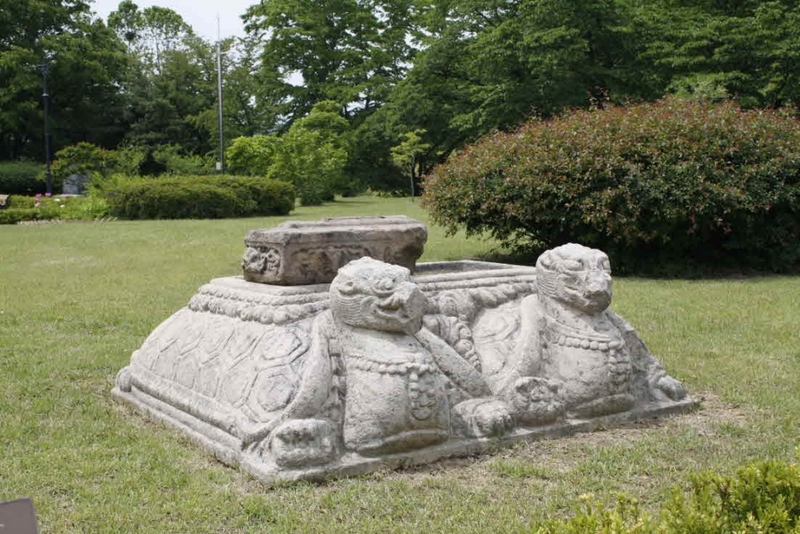 38) and other stone structures unearthed at temples and palace sites in Gyeongju are on exhibit in the museum garden. 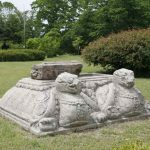 Most stone relics are of Buddhist origin and include Buddha statues, pagodas, buildings, lanterns, tomb remnants, and architectural structures like foundation stones and stepping stones. 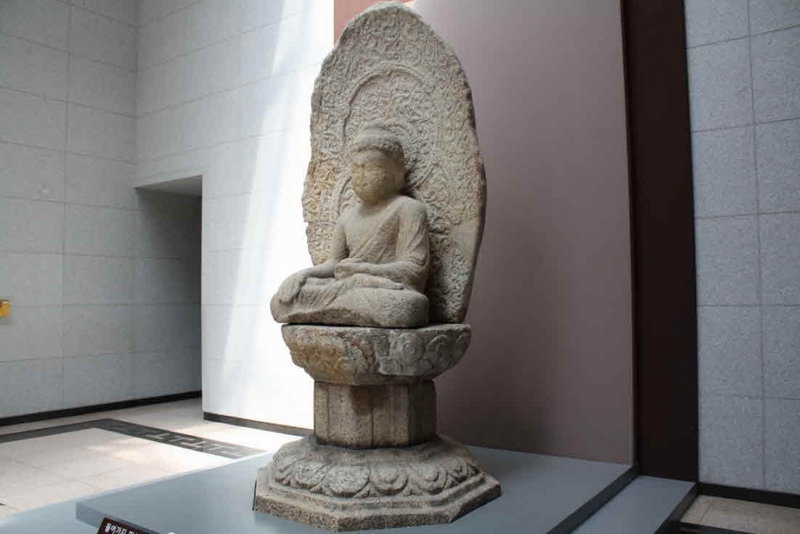 The major exhibits are the stone Buddha of the Janghang-ri Temple Site, the standing Buddha statue from Mount Nangsan, approximately 20 Buddha statues excavated from the well at Bunhwangsa, the three-story pagoda of the Goseonsa Temple Site, and a collection of lion and peacock-shaped stones.